Calgary, Alta. 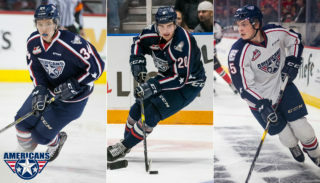 – The Western Hockey League announced today the rosters and staff for the 2019 U.S. Prospects Camp, which will be held at the Great Park Ice and FivePoint Arena in Irvine, Calif., from April 12-14, 2019. 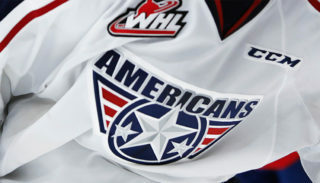 The U.S. Prospects Camp marks the 14th consecutive year the WHL has hosted a camp focusing on American-born prospects. The WHL U.S. Prospects Camp in Irvine will provide a unique opportunity for American-born hockey players to participate with other top-ranked 2004-born players in an evaluation camp conducted by the WHL in the U.S. this season. Shaun Clouston (General Manager/Head Coach, Medicine Hat Tigers), Dean Brockman (General Manager/Head Coach, Swift Current Broncos), David Anning (Head Coach, Brandon Wheat Kings) and Brian Pellerin (Associate Coach, Tri City Americans) will serve as coaches for the 2019 WHL U.S. Prospects Camp. 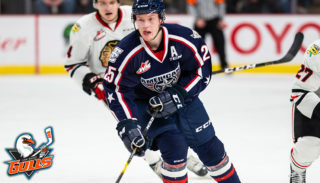 Four teams of American-born WHL prospects will participate in a WHL Prospects Combine and team practice on Day 1, followed by a total of three games split between Day 2 and Day 3. All players will also have the opportunity to participate in a WHL Combine, WHL Information Session and a Nutrition Seminar. The WHL coaches on staff bring a wealth of knowledge and a diverse range of experience to the WHL U.S. Prospects Camp. Having just completed his ninth season as Head Coach in Medicine Hat, Clouston has guided the Tigers to back-to-back Central Division titles. Brockman just finished his first year at the helm of the Broncos after spending the previous four seasons with the Saskatoon Blades. Anning won a WHL Championship in 2016 as Assistant Coach with the Brandon Wheat Kings before taking over as Head Coach for the 2016-17 WHL season. Pellerin finished his fifth season as an associate coach with the Americans and served as an assistant coach for Team BC at the Canada Winter Games in February. Colin Robinson (Kamloops Blazers) and Jamie LeBlanc (Swift Current Broncos) will attend the camp to provide equipment and athletic therapy services throughout. WHL Officials Taylor Burzminski and Aydon Brown will officiate the event to WHL standards. 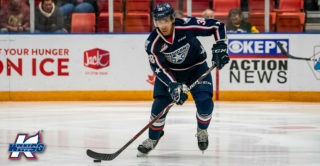 The WHL represents the highest level of amateur hockey for junior-aged players in Canada and the western United States. It is a leading supplier of player talent to the National Hockey League and Canadian university hockey. Virtually all of the WHL’s 22 member Clubs will be in attendance to evaluate players’ abilities and potential to compete at the WHL level. 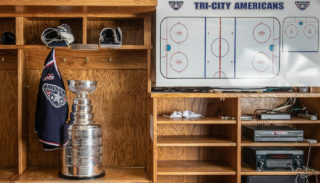 The WHL U.S. Prospects Camp also features an information session where players and families will learn about the benefits of playing in the WHL, including the WHL Scholarship. The WHL U.S. Prospects Camp is open only to U.S. residents born in 2004 who live in the Western United States, including Alaska. Of the over 40 American-born players currently on WHL rosters, the majority attended a WHL U.S. Prospects Camp in previous years. Players in attendance at the Camp will have access to combine results and the opportunity to compare results with players in their age group as well as others currently playing in the WHL. Testing will be conducted by Okanagan Hockey Group, will conduct on- and off-ice combine testing utilizing the SportTesting Inc. technology platform. For more information on playing in the WHL, please visit prospects.whl.ca.